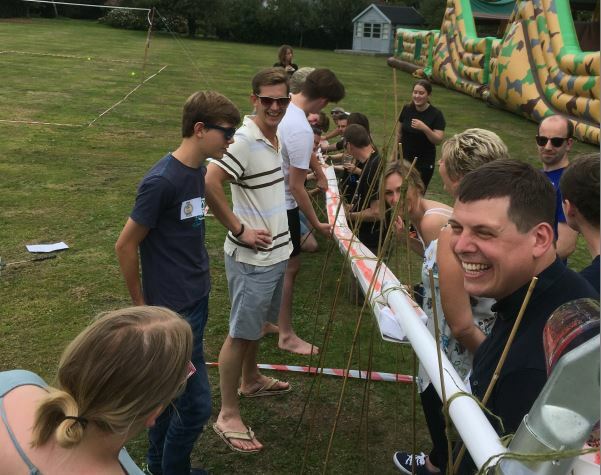 Our annual Staff Fun Day at the Romsey office turned out to be another cracker! It started with a simple task; to get water from the top of a ladder into a bucket, and ended up with the fitness freaks trying to out-paddle each other on Phil’s Evil Kayaking Machine! In between we challenged each other at Jenga, badminton, cake-baking, tower-building, assault-coursing, kayaking, mystery-solving and Connect 4, spurred on with something from the barbecue and of course the cake-judging. This year Kinga’s ‘K-Fresh and the Gang’ were the day’s winners and bagged the bottles of wine, followed by Lauren’s ‘Bee Team’ and Andy’s ‘Mini-ons’. We’ll all be back for more physical challenges next year, and to try and unravel Pete’s twisted clues and fiendish riddles.